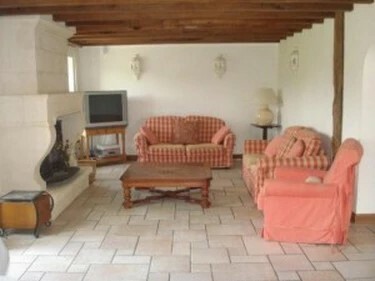 This fantastic 4 bedroom renovation lies at western end of the 300 year old farmstead of Le Roudier. With 3 ensuite bathrooms and an extremely high specification of living accommodation, this luxury property benefits from superb panoramic views of the adjoining valley. The entrance hall and galleried dining room typify the level of dedication that has been put into the design of this stone building. With its own terraces, gardens and pool it provides the ideal opportunity to taste the delights of Perigordian living with real style. 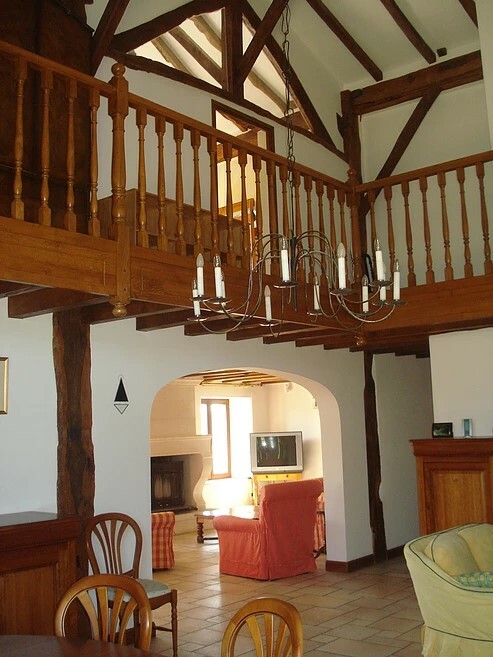 Situated in over 30 acres of Dordogne woodlands and pastures it really is a corner of paradise. For wildlife enthusiasts it is a real dream from boar and deer to a hugely diverse bird population. On the inside, the large open plan downstairs allows great freedom for dining and family activities with direct access to the rear south facing terrace where you can relax next to the private pool and jacuzzi. The kitchen is extremely well equipped and can provide the ideal centre piece for any function. The neighbouring g;®tes that form the rest of the farmstead are situated away from the house but provide a variety of additional on-site facilities which include a media centre with projector screen for films and world events.